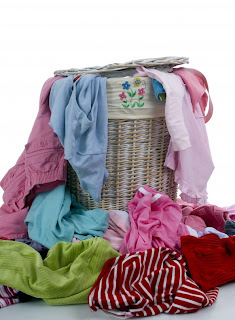 In The Eyes Of The Beholder: Stop Bein' Lazy And Do The Laundry! Stop Bein' Lazy And Do The Laundry! I slept at about 8pm last night and woke up on the wee hour of the morning which was 2am. I couldn't get myself back to sleep. So I turned on the TV and watched movies on HBO. I got really hungry at about 6am, ate breakfast and went back to being a potato couch! I didn't even encourage myself to jog. I was just too laze. Geez! It's about 9am now and Coyote Ugly is on HBO again. If I'm not going to switch the remote to a different channel, I'd be watching it for the 4th time since yesterday. LOL! Alright now! I'll stop being lazy and start doing my laundry! Or else I won't be productive and it's a brand new week!